I was upstairs on the bed, enjoying the air conditioning and reading a collection of JD Salinger shorts, when Becky called me from downstairs. The story I was in the middle of was “Teddy,” a tale about an unusual ten year-old boy. When I got downstairs, I wound up on the laptop, I can’t remember why, but the first thing I did was open up my iGoogle page – where I immediately noticed a blog in my RSS feeds titled “Divine miracles: you could never dream this stuff up“and went to read it. I’ve lived here for years, and I’ve never before seen the sun do this – it came in at such a strange, oblique angle, in such a narrow beam – and in the context, it was impossible to ignore. After two minutes (from 8:29-8:31 PM, according to my digital camera’s records), the sunbeam moved off of the shrine – and then suddenly vanished entirely, its trans-rational message delivered – in style, with echoes of ancient pyramid holes that align with the sun’s light only once every thousand years. I felt a shift in my mind as the weight of that rogue sunbeam dislodged something small and heavy, and it fell away from my mind – another corroded chunk of my resistance to nonrational thought, to intuitive living, to coinci-dancing through this magical reality. It just occurred to me that no one had brought the snake-in-paradise angle up yet in the lively comments/discussion on Slim Jim’s Snake Synchronicity. Knowing Slim Jim as I do, the notion of his snake being a synchronistic message about his hyperrationality had occurred to me as soon as I heard it – in its obvious parallels to Carl Jung’s classic story of synchronicity – the scarab beetle coincidence that helped a hyperrationalist patient overcome her rigid thinking. In the dream, I was sitting in the middle of the woods. I’m not sure why I was there. Dreams often don’t make sense. There may not have been a reason. Right next to me was a pile of dead branches. After a while, several snakes came out of the underbrush without warning and slithered around me really fast. They were so close to me that they almost touched me. The snakes were about three feet long and an inch in diameter, not particularly large but not particularly small. Up until that day, I knew very little about snakes, and I basically assumed that most snakes were poisonous. The fact that the snakes were so close to me and I thought they could kill me with one bite scared me to the point that I sat up in bed and was jolted awake. Just yesterday Becky asked me why I hadn’t posted for awhile on here, and I told her I didn’t really know – it just wasn’t time, I wasn’t motivated, I was rereading the short book involved to see if there was anything in there I might want to include in the post – and I was considering skipping the post entirely – it just seemed kind of weak and hard to explain. Well, I don’t have that post done yet, but now I know that I will be posting it, after all. 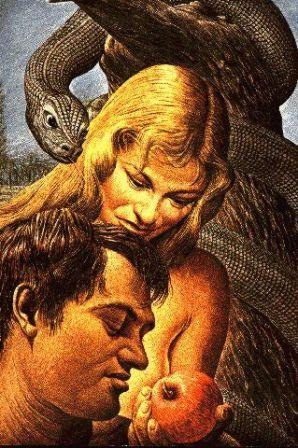 Shouting and hopping around the room a bit, amazed that I’d failed to connect the slithering snakes synchronicity cover art with Jim’s slithering snakes synchronicity dream (I didn’t think it necessarily meant a darn thing, but it was an amusing coincidence), I went to Google’s image search to find an image of the cover of the book (to show Becky and to send to Jim). 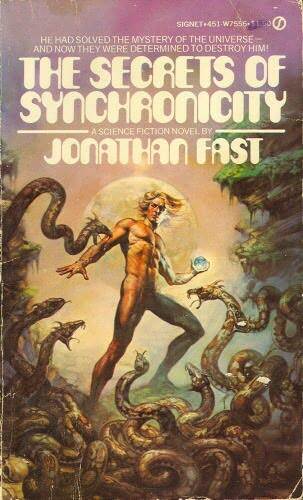 But when I searched for “secrets of synchronicity,” I didn’t see the book cover. A picture of my Teapots. I just went to investigate the image to figure out why the heck it comes up for that search – the image is not named or titled with either “synchronicity” or “secrets” – but their blog does have that phrase on every page – because apparently, “Secrets of Synchronicity” is also the title of their forthcoming book! Your teapots came up because it’s the best photo/image for synchronicity that I’ve ever seen. The universe agrees! People who have seen it think it should be on the cover of the book. Great story!! I’m sure you won’t be surprised to hear that the size of the snake I saw in reality was pretty much exactly the same as those on the book cover, and – from the brief glimpse I got of it – the patterns on its skin were pretty much the same except the colors were a little off (my snake was green and yellow). I hope people who read my story read about your book cover as well. “What would you do if you could change the educational system?” Nicholson asked ambiguously. 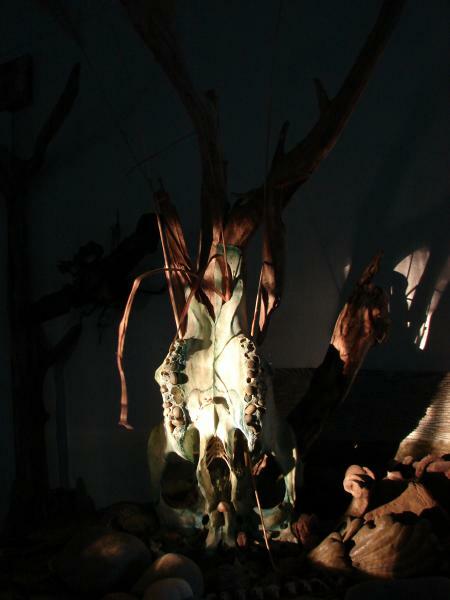 That cow skull photo is really cool. I used to have that Salinger book but it got stolen before I could read it. I think I know who stole it, so it may float back into my life by being stolen back. This afternoon I accompanied Jacque out to her mom’s house, to hang out with the numerous dogs, cats, horses, rabbits, and edible garden plants. I brought a book – “Secrets of Synchronicity,” which had been untouched for the last few days as I read other books instead. One page after that, a long speech about the Oneness of all Things – very reminiscent of the theme of Teddy’s philosophy. thanks for the post. got here through a “Teddy” quote.